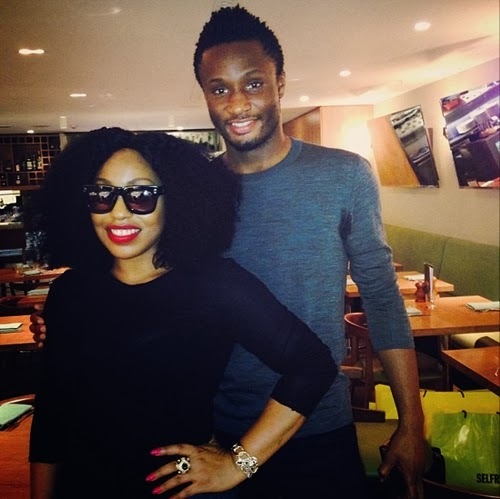 Nollywood big sister Rita Dominic was recently spotted with her dream younger brother, footballer Mikel Obi in London. 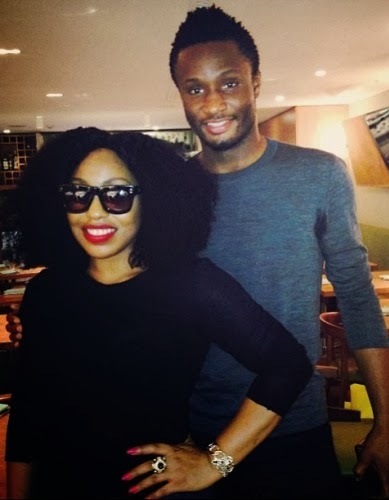 Rita Dominic who is currently on a short term vacation in London was honoured with an invitation for dinner by the young Chelsea footballer. Even though they’re both single, there is nothing going on between them because aunty Rita is like a big sister to Mikel Obi… no be joke ooooo I can authoritatively confirm they’re not dating. mikel be watchful oohh, dem don reach there? tie your sokoto with rope oooh. Na so, no b small tin oooo. Don’t be jealous of dem. that’s is a good cooperation hero and hero so nothing spoil. like ojukwu and biaca.